Thank goodness someone is explaining a little bit about Friday the 13th on Poetry Friday today. And that would be Bridget McGee at Wee Words for Wee Ones, sharing a few words about 'fear'. Thanks Bridget, especially for explaining "paraskevidekatriaphobia". I didn't know! I've found I'm a little superstitious, thanks to one grandfather who taught me about ladders and umbrellas, also to count stairs, and to step over one if I found there were THIRTEEN! And when I had a wonderful cat that was dark grey, we were extra careful on Friday the 13th or on Halloween because too many wanted to catch these cats and play tricks, or something worse. You can discover more about what people believe about black cats as fearful here, and I'm glad the same article also mentions the good side too. 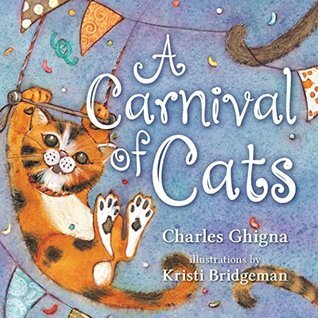 But for me, even on this Friday the 13th, I prefer to celebrate Charles Chigna's A Carnival of Cats, a book of wonderful poems for young children. I just bought it for my youngest granddaughter who loves ALL books, but discovered she really liked poetry when I read Lullaby & Kisses Sweet (Lee Bennett Hopkins and Alyssa Nassner) to her one day. Then I found I See Fall by Charles, and that too was a hit.You should know that Imogene also loves to sing and already has learned many songs. I guess she has the rhyming bug, right? A Carnival of Cats is a board book with simple rhymes that describe different kinds of cats, like Orange and black/from head to toe. Could that be (turn the page) a calico! 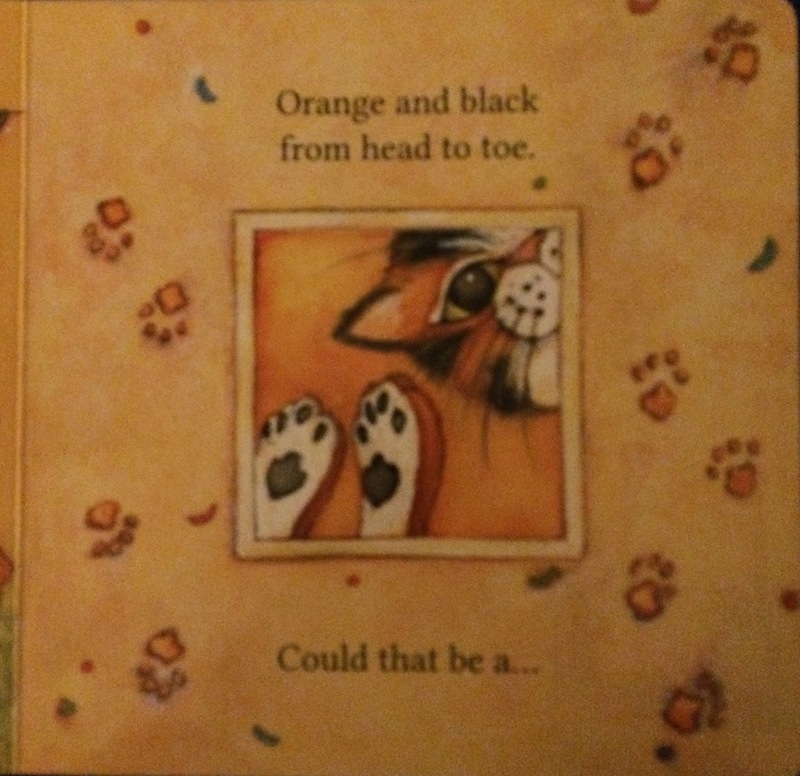 For someone who loves rhymes and cats, has three cats who live inside and feeds two strays, it's a perfect book. 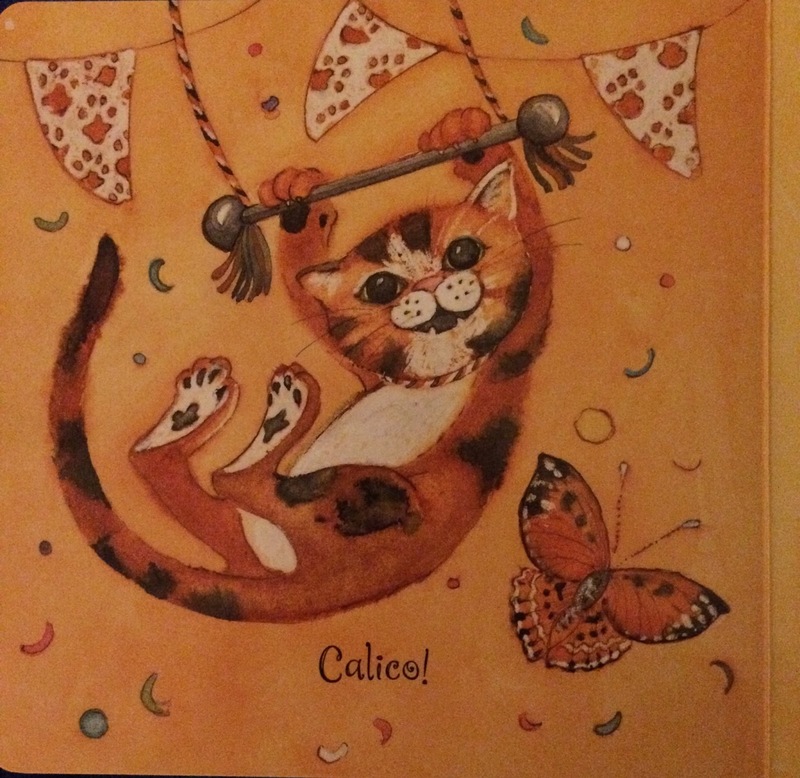 The illustrations by Kristi Bridgeman show happy cats swinging on trapezes, running, jumping, snuggling. They're colorful, and true to each breed. Thanks to Charles, and others, it's been delightful finding poetry for younger children, wonderful for my granddaughters, and also for gifts to young parents. For those who love poetry AND cats, Carnival of Cats is perfect. Oh what a beautiful looking book! Thanks for telling us about it. I'll add it to my list to look out for. Thanks, Sally. It is terrific, & hope you enjoy it! Headed off to request these titles right now. Love the cat pic! Is this a cat you know? Hoping that my Imi might have the rhyming gene too! They're all lots of fun to read aloud, Ramona. No, the cat pic is from the free pics at Morguefile. Thanks! Thank you so much for sharing! ...Like you, I love giving books to "wee ones" (a word-nod to Bridget who's hosting). As the school's library media specialist, it became "expected" at faculty baby showers that my present would be poetry! Thanks for sharing about titles to add to the gift-buying bibliography. God bless you! Thank you, glad to add to the titles! All fun to read, to enjoy with children at their poetry-love beginnings. How wonderful to discover Imogene likes poetry! This book looks adorable and indeed sounds perfect for her. I like black cats -- so sleek and beautiful and mysterious. She does love reading, and this book, wow! I like black cats too, Jama, often so shiny! Thanks! Thanks for giving us a peek inside this book, Linda. It's destined to be another favorite for Imogene— how could it not with the combination of Charles' verse and such darling illustrations? It's just right for Imi, & for other young children, certainly on my list for gift-giving. Thanks, Michelle. I love poetry for all ages. It's a delight to start them out right! Yes, I agree. There is a part of the young ones who will love hearing the poetry, and it will add to their language abilities, too.Thank you. I haven't seen this yet, but I'm sure my 2-yr-old will love it! Hope to pick it up soon. Yes, I imagine both your children will love it, Matt. It's fun to think about what cat is next, too. Thanks. Well, you know I agree about those black cats, Bridget. It was interesting to hear that they're linked with the older women who knew about herbs, etc., then were thought to be witches, etc. Long standing beliefs are hard to stop. I think many of our grandparents held those superstitions, & I still have a few. Thanks again for hosting. Calico...such a great word. My black and white cat is enjoying this Friday at my side. Nobody else knows that she can be so sweet. Thanks, Margaret. I don't have a cat anymore, and miss their unique personalities. Calicos are beautiful, aren't they? Oh, what a cute book! Love cats. All cats. This may have to be a granddaughter gift. At a 17 months she first got to experience a cat, my cat, and loved him all to pieces! Now she finds them in books and meows to them. I suspect your grandchildren will love this book, a good way to add to their cat interest, along with your cat! Thanks, Donna. Our library's copy of Carnival of Cats only recently arrived. I'll have to take a look at it before it's released to the general public! It's simple and yet there are many parts that can entertain along with the poetry, Diane. I hope you'll enjoy it. I have not read these yet, Linda, but I will now! Thanks for sharing! You're welcome, Becky. Enjoy the book! Linda, first of all for catching my slip up. Can I blame that on Friday the 13th and exhaustion from the training trip I went on? Thank you for the background knowledge on the origin on superstitions surrounding black cats and the new books. I can imagine your little granddaughter delighted with books, especially the ones you suggested. You're welcome, Carol, glad I could help. Enjoy your weekend! I just love to read about you introducing poetry to your granddaughter. I remember my mother reading poems to my children when they were tiny. It is a joy to share with them, Ruth, like my grandparents did for me. Thanks! I have a cat on my lap as I type this! A Carnival of Cats looks like one of those books you read again and again. Nice to hear about your cat! Yes, it is the sweetest book! Thanks, Tabatha. Aw, another lap cat! The rescued cats are the most grateful, perhaps? Thanks, Irene.